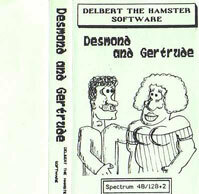 All Delbert the Hamster Software was published by Zenobi Software, but they used their own covers. 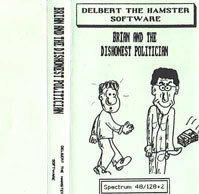 They are or have been distributed by Zenobi Software. Aunt Velma's Coming to Tea! Written 1992 by The Spud. Written 1991 by The Spud and Richard Ng. Written 1991 by Gareth Pitchford and The Spud. Written 1992 by Gareth Pitchford and The Spud. Written by The Spud and Richard Ng. Written by Gareth Pitchford and Scott Denyer. Written 1993 by Jack Lockerby and Jon R. Lemmon. Notes: May have been written by Compass Software. Written 1993 by Gareth Pitchford. Written by Gareth Pitchford and The Spud.